Moreover, it is believed that marigold, Indian Borage, sweet basil, and holy basil naturally repel mosquitoes. Hence, you may drive away insects by planting these plants around your yard. Plus, make sure you remove water like puddles and rainwater as they provide an excellent place for the breeding of these insects. Besides, regularly drinking about two tablespoons of apple cider vinegar mixed with water helps keep mosquitoes away from your body. Moreover, it is beneficial for your overall health, too. There is an organic mosquito repellent recipe at the DIY Life website that can be prepared within a few minutes. It is a simple yet effective recipe that makes use of just three ingredients, that is, apple cider vinegar, witch hazel, and citronella or eucalyptus essential oil. You can explore other natural ingredients used for making organic insect repellents, including essential oils and carrier oils, at About.com. It provides information on the type of combinations you should opt for, and how to go ahead and make your insect repellent at home. Besides, you can buy Citronella candles. 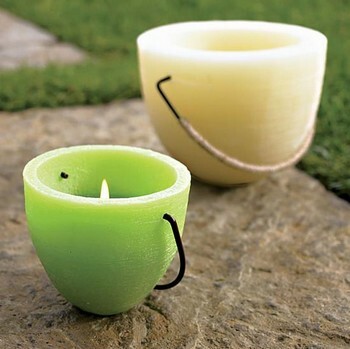 If you want to make these candles yourself, visit lifehacker.com to get the procedure. You can find other similar recipe for natural bug sprays at Wellness Mama. The site gives proper instructions and procedure for making a natural bug spray from dried or fresh herbs like peppermint, spearmint, lavender, catnip, citronella, lemongrass, and so on. Plus, there is a simple and inexpensive recipe named Vinegar of the Four Thieves Insect Repellent. It is prepared from a combination of apple cider vinegar and dried herbs. 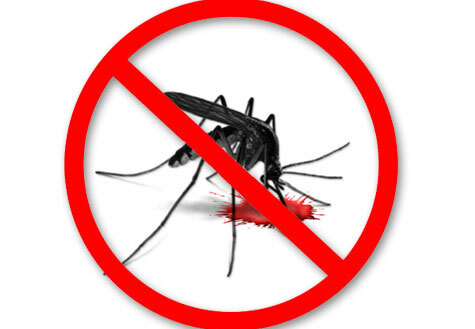 At yourorganicgardeningblog.com, you shall find a natural mosquito repellent recipe prepared with a blend of five oils. When using it on your body, you may add jojoba oil or almond oil in the mixture before applying. Besides, you may convert this recipe into a mosquito repellent spray by adding vodka in it. DIY Natural website, too, offers a superb recipe for homemade natural insect repellent spray using grain alcohol as a preservative. Moreover, there is a recipe for bug repelling essential oil blend. Natural insect and mosquito repellents can be prepared using neem (also known as margosa or Indian lilac) oil, as well. You can find the method for making such a spray at www.instructables.com. Another inexpensive way to drive mosquitoes away is to make a Garlic Pepper Mosquito Spray Recipe. You can find this recipe at eHow. You can spray this solution in your garden area, especially where there is standing water. You may also add vegetable oil in this spray so that it can stick to the plants. However, avoid using this spray when you have pets around as garlic can be toxic for animals. In case you are interested in a non-toxic bug repellent balm then consider the recipe provided at CoconutOil.com. Apart from the essential oils that drive away bugs, this soft balm includes skin-friendly ingredients such as coconut oil, shea butter, and beeswax. If you want the consistency of the salve to be softer then you may add more shea butter; if you want it to be firmer, add more beeswax. There is an accurate and detailed recipe for making a natural mosquito repellent at www.easy-aromatherapy-recipes.com. Following the instructions given on the site, you can prepare a homemade bug repellent body lotion that repels mosquitoes and black flies. It does not contain harsh ingredients. Plus, it includes fresh citrus smells and has light moisturizing properties. Thus, it soothes your skin while protecting you from pesky bugs. You may find more herb-infused bug repellent recipes, like Fresh Catnip and Rosemary Oil in a chart at HobbyFarms.com. In addition, the chart provides information on remedies for insect bites. Having studied these natural mosquito repellent recipes, you can try making a recipe yourself. Do not forget to share your valuable tips and recipes with us! Amazing detailed research about home made moisturiser too?